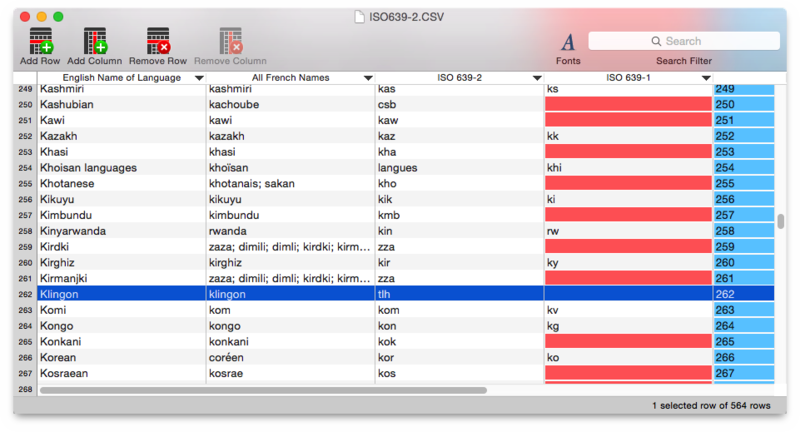 CSVEditor 2 is the new Mac OS X tool which makes creating and editing CSV data more comfortable. You can create new spreadsheets or open any CSV file in any available encoding. Add, remove or move rows and columns. Add, remove and edit contents manually in the cell editor or automatically with the Fill editor. Trim, search and replace data field contents, even using Regular Expressions. CSV means Comma Separated Values, but data fields in CSV files may also be separated by semicolon or tab. System Require­ments: OS X 10.8 (Mountain Lion) or higher.